Wow guys, that was truly well written and very well said! It’s going up on my wall right now! Yaa Thanks Steve! this is very nice of you also I agree with David as well any how the post is Threatening to the other world….!!! That’s a very impressive post. 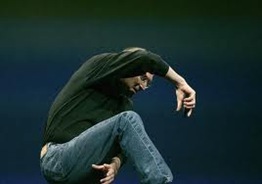 And hats off to the man who have changed the world through his services, the “Steve Jobs”. ….This is crazy….My best friend’s mom makes $77 an hour on the computer. She has been out of job for 9 months but last month her check was $5487 just working on the computer for a few hours.. CashMany.com …..
http://itunes.apple.com/en/app/jokes-jose-joke-teller-toucan/id490196809?mt=8 . This is a very nice application to fun. Oh, Jose joke teller.Really it is the best. Steve jobs was icon for this industry really.